With our CEREC milling unit, you can skip the hassle of messy impressions, temporary crowns, and second appointments. You can get the high-quality restoration you need in a single visit. Dr. Schumacher takes a digital impression of your tooth for precise measurements to design your crown using CAD/CAM software. It is made to match the color, size, and shape of your natural teeth to blend in seamlessly when you smile. 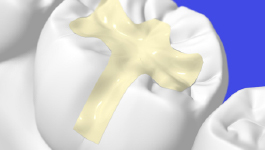 Your restoration is cut from a single block of all-ceramic material in less than one hour, so you can walk out of our office with the durable crown you need. Despite new advancements in dentistry, 120 million Americans are missing at least one tooth. 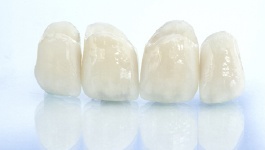 Dental crowns and a bridge are the most convenient solution to fill the space of one to three consecutive missing teeth. Dr. Schumacher takes an impression of your mouth to design a bridge of prosthetic teeth. It is held in place by reshaping your adjacent teeth to bond dental crowns to them. This is an effective treatment that can last for an average of 5 years before needing to be replaced. Do you need to replace multiple teeth or an entire arch? Dr. Schumacher offers traditional partials and dentures, as well as those that are implant-supported. 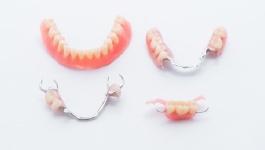 Although traditional dentures have a bad reputation for looking and feeling fake, Dr. Schumacher uses the latest innovations in dentistry to improve their fit and aesthetics. You can smile confidently while eating a wider variety of foods to restore your quality of life. Dr. Schumacher creates the customized treatment plan you need to rebuild a healthy, functional, beautiful smile. 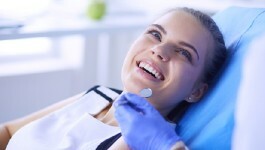 You can treat your cavities using an alternative to metal fillings. 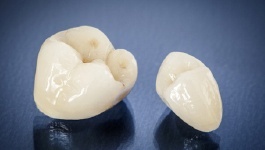 A biocompatible, composite resin material is customized to match the color of your enamel for natural-looking results. The resin is also metal-free, so you do not need to worry about a visible appearance or mercury exposure. Tooth-colored fillings give you a nearly undetectable treatment to stop the damages of decay to save your tooth. No matter if it is a new cavity or you would like to replace an old amalgam filling, Dr. Schumacher has the solution for you. If you have a severely damaged tooth, do not have it pulled. Dr. Schumacher can save it with a root canal. 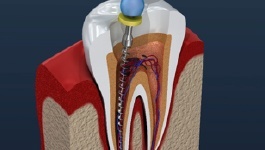 The endodontic treatment extracts the inner layer of your tooth called the pulp. This stops the infection from spreading to the surrounding structures. He then sterilizes your tooth and seals it with a special material called gutta-percha to add strength to its structure. Dr. Schumacher creates a dental crown to place over your tooth to protect it from future damage while reinstating its function and appearance. If years of poor oral health or a traumatic injury have left you with complete tooth loss, Dr. Schumacher has the solutions you need to restore a beautiful smile. Besides traditional dentures, he can help you enjoy the security of dental implants. 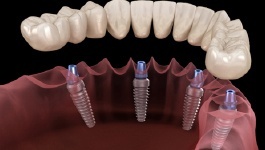 Strategically placed implant posts are inserted into your jawbone to anchor your denture. You will enjoy the next best thing to your real teeth using a treatment that can last for several decades. Supported by extensive qualification in prosthodontics, Dr. Schumacher has the qualifications you need to rebuild your damaged or missing teeth. Place your smile in the hands of a trusted restorative dentist. Contact our office today to schedule your consultation.